AMERICAN-FUNDED UFO hunters are apparently scouring space for signs of alien life – from a secretive base in the heart of London. The Ministry of Defence was set to axe its UFO department back in 2009, when officials from the American secret service stepped in to save the obscure MoD operation. And apparently, Pentagon bosses decided that the best spot to continue the hunt for alien life was in Soho, right next to the HQ of film giant 20th Century Fox. The secretive London office can be found in Soho Square, where British and American UFO-hunters scan the skies for proof that we are not alone. Funded largely by US tax dollars, the office includes a small team of Brits alongside the largely American workforce, with the secretive department overseen by an American colonel. A serving military source told The Express: “There was pressure from a similar unit in the Pentagon which wanted to incorporate the MoD unit. 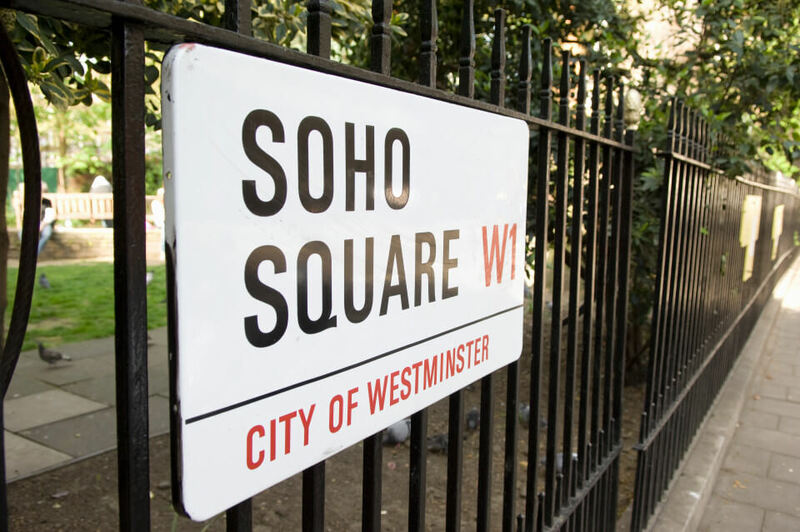 “It was decided to move the unit to Soho Square and I understand that it now has a number of American personnel. “The relocation was even accidentally published in the MoD’s magazine, though few noticed. Conceptual visualization of an alien or extraterrestrial life. British and US analysts are apparently operating from a secret UFO-hunter HQ in Soho. Although the bulk of the operation deals with the militarisation of space, the search for alien life is still included in the team’s brief. Although the MoD refuses to discuss individual units, Liz Quintana, director of military sciences at the Royal United Services think tank, said: “Britain has maintained its interest in space and the issue of UFOs. “It would not surprise me if the UK and US had an office here.